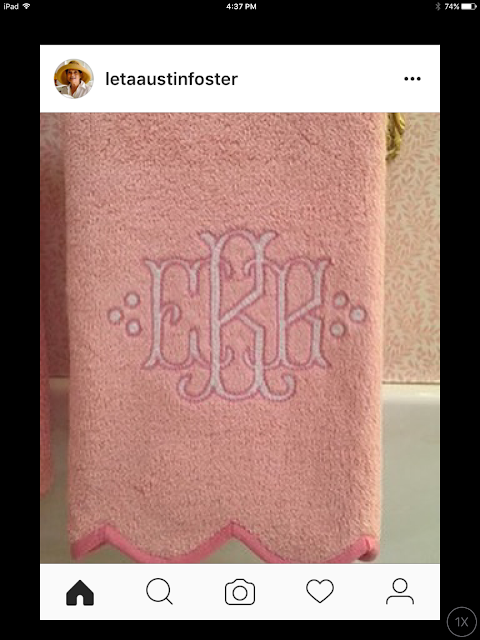 Thought you'd like to see some of the monogrammed items we can create for you at the Boutique on this week's Instagram post. 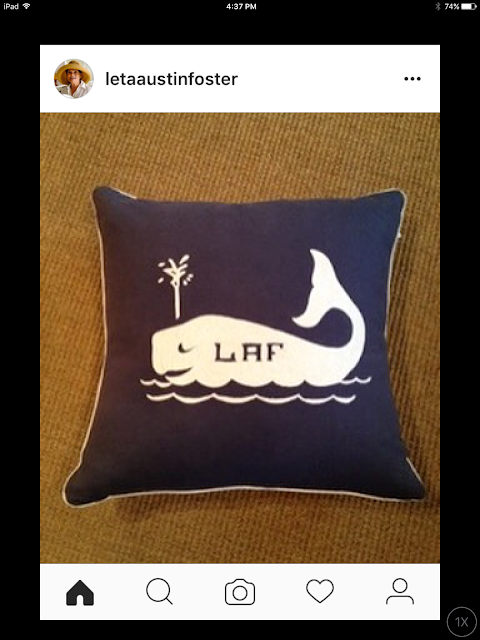 A dear client had us make him 2 navy blue linen pillows with his house numbers on a whale motif that he planned to put on the sofa of his summer home on Long Island. We promptly had a sample made for the shop so other clients could order their own version....any colors, initials or numbers. All the white you see is the embroidery work done in a ringstitch, while the initials are the color of the linen showing through. These linen guest towels from Portugal are appliquéd with sailboats and a wave border. 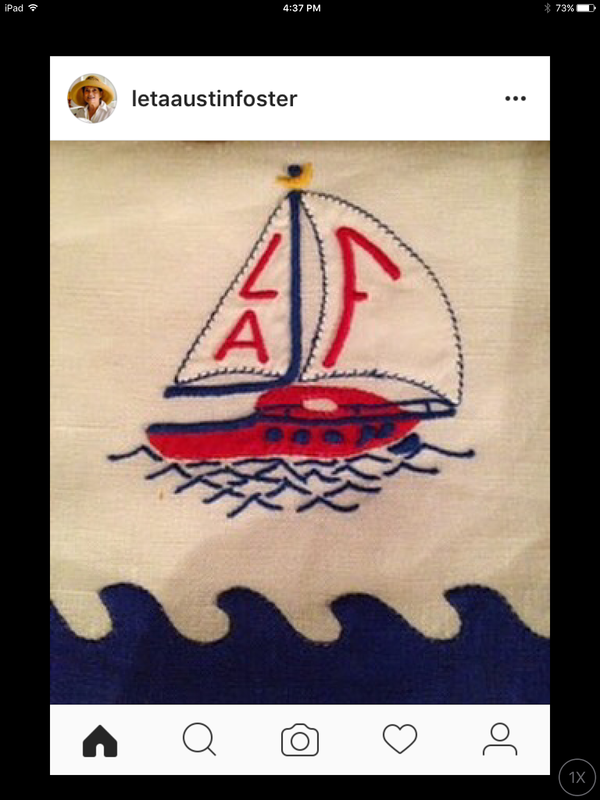 We are able to personalize them with 2 or 3 initials embroidered within the sails. What a great present for a sailing enthusiast ! 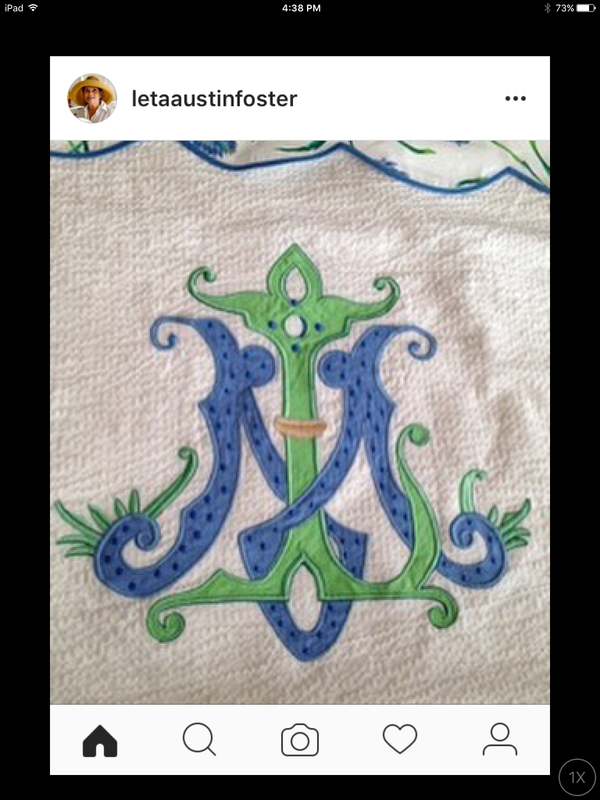 An amazing monogram which is a combination of appliqué work and embroidery. This sample, which is rather large....about 12"...is on a blanket cover in our shop. It can be made any size to adorn a sham, a sheet, a towel or even a decorative pillow. You may choose any 2 colors of fabric and we will match the embroidery threads accordingly. Here is shown some custom artwork by Zenon Trozak, our famed artist friend, that was copied by our embroidery house onto one of our favorite client's towels, robes and napkins. If you have an idea for a special monogram for yourself, let us know and we will make it come to fruition. If you don't have an idea and would still like a custom design, we would be happy create one for you. Pink on pink D. Porthault towels deserved a special monogram. This one was done in a French Knot stitch in white that is then outlined in bright pink. Very striking, indeed !! 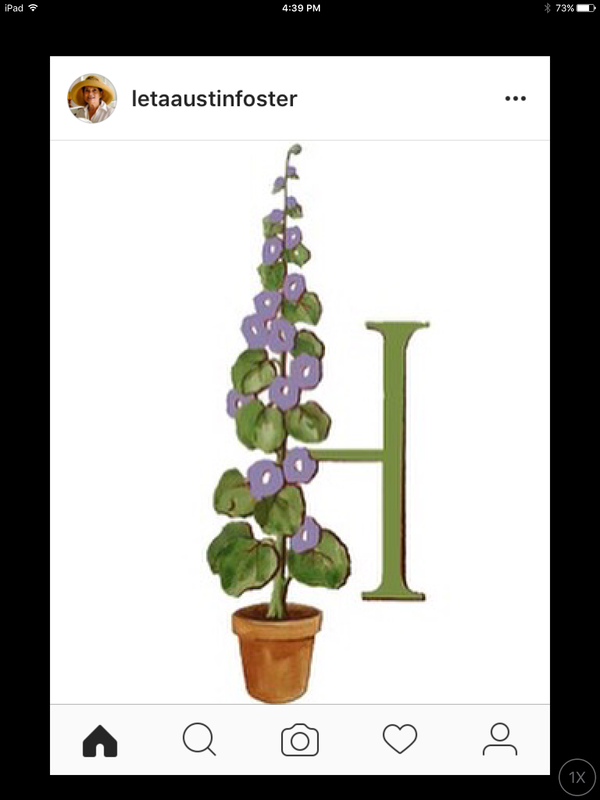 More posts to share next week, but if you have a craving for more, please check out our Instagram account at LETAAUSTINFOSTER.